WiOffer, a new mobile app platform which aims to connect TV viewers directly with advertisers, is now available in the iOS App Store and will begin running its first WiO TV commercials starting today. The app is something of a competitor to Shazam, which also offers a “listening” technology that can identify the TV commercial that’s currently airing, allowing the viewer to then interact with the brand in creative ways, like entering a contest or unlocking a special video, for example. 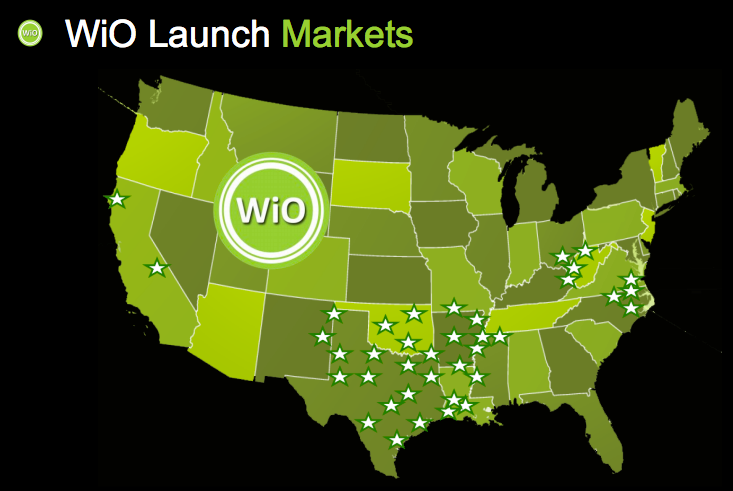 With WiO, however, the technology is more focused on making a connection between viewer and brand which impacts the advertiser’s bottom line. It does so by integrating tools a variety of tools that can do things like direct users to a website where they can buy the merchandise, tools that let consumers call, text, email or socially share the ad, tools to offer consumers discounts or coupons, tools that consumers add reminders to their calendar, and much more. To be clear, WiO is just the platform that enables these types of advertiser-to-consumer connections, but which methods the advertiser chooses to integrate into their specific ad is up to them. In other words, some ads will only direct viewers to the website to buy the merchandise and offer a “learn more” link, while other ads may offer more enticing things like discounts or mobile-only specials. The specific call to action would be contained in the advertiser’s TV commercial, in theory. Before showing ads from the brands and partners using WiO, the company is first starting off with a series of 30 and 60-second ads meant to educate consumers on how WiO works, and what it’s for. These will launch in 2.1 million homes starting today through the company’s relationship with RevShare. 50 markets across the U.S. are involved, including L.A., Dallas-Ft. Worth, Houston, Austin, Memphis, Shreveport, Raleigh-Durham, and others. Notably, the company is not targeting many of the U.S.’s larger cities like NY, Boston, Chicago, Miami, or anywhere in the San Francisco Bay Area/Silicon Valley. The ads won’t air on broadcast networks like ABC, NBC or CBS either, but rather on many cable TV stations. Following the consumer education efforts, brands’ ads will begin to roll out, and WiO has already partnered with several companies and advertising agencies for its initial line-up. Early adopters include Procter & Gamble’s Pantene, film and TV studio Relativity Media (which is using WiO to promote “The House at the End of the Street”), Discount Tire, Lisa Hoffman Beauty, Grey New York, and select Cesari Direct clients (The Juiceman and Rug Doctor, e.g.). The ads are available in the app now. In addition to the TV commercial integration, WiO now also includes Nuance’s voice recognition technology, which allows consumers to find ads and offers by speaking. Efforts to tap into the potential of the second screen for advertising purposes have been expanding, but WiO will be fighting not only the obstacles involved with consumer education efforts, the more popular Shazam app, time-shifted playback which allows users to skip TV ads entirely, but also the very real possibility that second screen advertising like this won’t ever really become a mainstream activity. Shazam’s Superbowl numbers aside (Superbowl ads don’t represent normal viewer reach), consumers are savvy enough to realize when an advertiser is just after their info and dollars and doesn’t value their time and effort. It’s critical that TV ads which ask the viewer to become an active participant in what’s traditionally been a passive activity actually provide some value for doing so. An advertiser who think throwing in a “learn more” and “buy now” link is enough may find themselves disappointed with the results. The WiO Offer app is available here in iTunes.